ARC and IMMA collaborate regularly on public talks and lectures, which are recorded for IMMA’s Soundcloud. Actors, Performing Bodies and the Matter of Storage, Dr. Maeve Connolly, 1 February 2018. This lecture focuses on artworks that suggest material manifestations of acting or performing bodies, and combine sculptural media with technologies such as digital 3D modelling or animatronics to propose new understandings of the human body as a medium of storage, including discussion of works by Cecile B. Evans, Nathaniel Mellors and Jeamin Cha. Heidegger – Technology and Art, Dr. Sinead Hogan, 2 March 2017. Aesthetics – Ressentiment – Non-place, IMMA, 1 April 2016. Sinéad Hogan (Lecturer, IADT: ARC) introduces the work of Jacques Derrida in relation to a politics of statements, trauma and impossibility. The focus of the talk will be on the radical impossibility of an apology. Audio recording here. ‘The Infrastructural Turn’, IMMA, October 2, 2015: Maeve Connolly (Lecturer, IADT: ARC) explores definitions of infrastructure developed in art and media theory, referencing works by Celine Condorelli, Simon Denny, John Gerrard, Melanie Gilligan, Fiona Marron and Andrea Zittel, and also critical texts by Hito Steyerl. Audio recording here. Media Archives in Transition, IMMA, February 26, 2015: Maeve Connolly (Lecturer, IADT: ARC) explores the changing form and function of broadcast and film archives, addressing issues of access, dissemination, archive oriented art practice, and the role of the artist as mediator of the archive. Audio recording here. What is sculpture? IMMA, May 9, 2015: Sinead Hogan (Lecturer, IADT: ARC) presents What is Sculpture…? This talk considers new definitions of sculpture and explore how contemporary forms of ‘expanded sculpture’ prompts the viewer to question the object-nature of art. Audio recording here. ARC researchers participated in a curatorial networking project, entitled PIIGS An Alternative Geography of Curating. It was conceived as a platform for debate about the economic crisis and how it has affected artistic and curatorial practices from the point of view of PIIGS* nations (Portugal, Italy, Ireland, Greece and Spain), characterised as careless and negligent by the international economic community. Participating curators and institutions included ARC researchers Sophie Behal, Maeve Lynch, Steven Nestor, Rosie O’Reilly and Ben Stafford along with Campo 15, Italy; Neon Foundation, Greece; ARTIS, University of Lisbon, Portugal; and University Complutense of Madrid, Spain. Irish artist and IADT MAVIS graduate Fiona Marron was selected by the group to exhibit recent video and sculptural work which relates to interconnected social systems and an interest in mercantile and economic influences. Public Discussion at the LAB in association with ARC IADT and UCD Parity Studios. Art & Research Practices: Encounters & Entanglement, Friday Nov 6, 2015. Speakers: Alice Feldman (sociologist) and Michael McLoughlin, (artist). Chaired by Dr. Sinead Hogan, Co-Director, Art Research Collaboration MA, IADT. The discussion explored areas of intersection between both the practice-based methodologies and the recurrent substantive areas of research in the work of sociologist Alice Feldman and visual artist Michael McLoughlin. The initial impetus for this conversation was the relationship between two pieces of work: We are here because you were there, Alice Feldman (2015) is and excavation of the intertwined histories of encounter between Irish and African diasporas, and the implications of these inheritances in the contemporary migration moment. Part of the Placing Voices, Voicing Places project, funded by the Heritage Council Ireland and UCD Seed Funding programme. I am here because I know you will be too, by Michael McLoughlin (2014) is a book of drawings that explores the importance of informal social spaces and having a place to meet for older people. Commissioned by Dublin City Council under the PerCent for Art Scheme. Produced by Maeve Connolly and ARC researcher Fiona Gannon with the support of Fingal Arts, A to Z of Resort Life is a zine devoted to the work of US artist Andrea Zittel. Since the early 1990s, Zittel has used her daily life as the material of her practice, making objects, furnishings and clothing. Some of these objects are inspired by Zittel’s own childhood experiences of holidaying in trailers and recreational vehicles. Most of the artworks are functional things that can be customised by their owners and users, such as her Travel Trailer Units and A-Z Escape Vehicles, and Zittel has also created miniature islands for temporary habitation. The A to Z of Resort Life was produced within the context of Resort Revelations, a residency programme organised by Caroline Cowley of Fingal Arts at Lynder’s Mobile Home Park in Portrane, north county Dublin. It was devised for hardcopy distribution at the Bleeding Pig Festival in Portrane, September 11-13, 2015. A compressed PDF of the zine can be downloaded here. Commissioning and Curating at the Intersection of Art & Science, February 2015. A public lecture by Dr. Sarah Cook, presented by IADT/ARC in collaboration with the LAB and Dublin City Council Arts Office. Dr. Sarah Cook is currently a fellow at Duncan of Jordanstone College of Art and Design at the University of Dundee, where, among other interdisciplinary research initiatives, she is engaged in curating artists’ projects for LifeSpace Science Art Research Gallery. 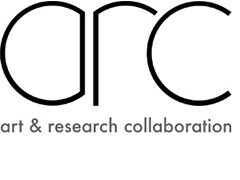 ARC is open to potential collaboration with research, education and industry partners on projects, events, talks and seminars both nationally and internationally. The decision to collaborate is based on the relevancy of the project to ARC programme learning outcomes, the timing within our schedule, and a clear assessment of the resources available to deliver the project to a successful outcome. If you are interested in collaborating with us, please contact us with a proposal and details of resources available/needed. Our main planning sessions take place in June and December of each year and we prefer to have at least 3 months lead-in time when developing projects. Communications should be directed to maeve.connolly@iadt.ie and sinead.hogan@iadt.ie.